Often, the greatest art is made not by revolutionaries but by synthesizers, people who take remarkable developments and to create something really special. Monteverdi's L'orfeo was built on the foundations of the many lesser operas created in Florence from the 1590's, and Gluck's Orfeo ed Euridice was preceded by experiments from other composer interested in changing opera seria, and introducing French elements into Italian baroque opera. One such was the Neapolitan composer Niccolo Jommelli, who worked for the last 20 years of his life at the court of the Duke of Württemberg, giving him the score to experiment. Jommelli's operas are generally only experienced nowadays from recordings, if at all, so it was wonderful to find that as part of their Mozart 250 project, Ian Page and Classical Opera performed Jommelli's Il Vologeso at Cadogan Hall on Thursday 28 April 2016. The young cast included Rachel Kelly as Vologeso, Gemma Summerfield as Berenice, Stuart Jackson as Lucio Vero, Angela Simkin as Lucilla, Jennifer France as Flavio and Tom Verney as Aniceto. Ian Page conducted the Orchestra of Classical Opera. Il Vologeso was premiered in February 1766 in the brand new Schlosstheater at Ludwigsburg. The libretto was by Mattia Verazi, a long-time collaborator of Jommelli and someone whose texts could be a long way from the poised and cool classicism of Metastasio. The result sounded to me like Gluck at his most vigorous; in his article in the programme book Ian Page referred to the 'pungent dynamism' of Jommelli's music. Granted, secco recitative did tend to chug somewhat and Jommelli seemed to lack Handel's flair here but where Jommelli scores is in his use of accompanied recitative. In moments of stress, and there are many in the opera, the music breaks out into highly imaginative accompagnato. The other striking feature is that the first two acts each end in a remarkable vocal ensemble, and here you really do seem to feel Jommelli is looking forward. 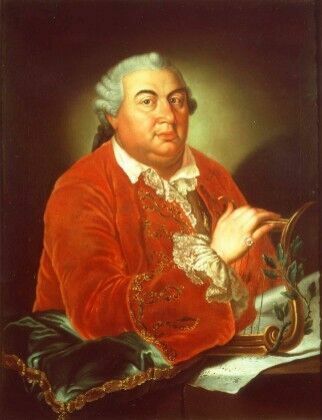 Neither Jommelli nor Verazi seemed interested in preserving the conventions of opera seria in aspic, so that the exit aria convention (whereby a character leaves the stage after a major aria) is sometimes flouted, and Jommelli is not slavish in his use of full repeats in da capo arias. (Here I have to be a bit careful because in the version performed, Ian Page not only trimmed off three arias but another three lost their B sections and da capo repeats). That said, the plot seemed to be remarkably expeditious and almost dramatic. This was an opera where things actually happened, rather than characters describing them and talking endlessly. The plot was the standard trope of a Roman Emperor (Lucio Vero played by Stuart Jackson) conquering a country (Parthia) and defeating the king (Vologeso played by Rachel Kelly). Vologeso goes into hiding, his betrothed Berenice (Gemma Summerfield) thinks he is dead, and Lucio Vero falls in love with Berenice and pressures her (and Vologeso who reappears and is imprisoned). Lucio Vero's betrothed Lucilla (Angela Simkin) appears just to make life more complicated. There are two side-kicks, Ancieto (Tom Verney) is Lucio Vero's attendant, whilst Flavio (Jennifer France) supports Lucilla. Act One ends with a long scene in the Roman amphitheatre with Vologeso facing the lions, but Berenice jumps in to join him. Lucio Vero is torn and eventually has to aid Vologeso (by giving him a sword) so as to save Berenice, thus revealing his love for her. At the end of Act Two, Berenice reveals that her promise to give Lucio Vero her heart in exchange for Vologeso's life would be achieved only by Lucio Vero ripping it out of her body. The last act includes a striking long scene, effectively a scena for Berenice, where she is presented with what appears to be Vologeso's severed head. Gluck or Mozart it isn't, but it works on its own terms because Jommelli and Verazi have produced some highly effective theatre. The character of Lucio Vero is nicely drawn, he is not just a raging tyrant. His Act two cavatina, the dramatic trio at the end of that act when he realises Berenice is not his and his Act three aria when he laments the anguish Berenice causes him and almost regrets loving her, form a striking series of contrasts and a good psychological portrait. For once, in an opera seria, the lieto fine is not a sudden cop-out, and is neatly prepared for. Stuart Jackson was impressive in a role designed to show off the skills of Jommelli's star tenor (Arcangelo Cortoni). Like the rest of the cast, Jackson was fully involved in the role, even when not singing and this was far more than a series of arias, but a fully rounded performance. Jackson brought a nice lyric intensity to the role, and really made you believe in Lucio Vero as a person. Gemma Summerfield made a strong Berenice; Summerfield has a highly dramatic voice, which can move when needed. Berenice is steadfast, but also strong in her own right and the moment at the end of Act Two when she tells Lucio Vero that he will have to rip her heart out if she wants it, was priceless. But it is in the long scene in Act Three where Summerfield really came into her own. Clearly Maria Masi Giura, Jommelli's prima donna, was a lady of some dramatic ability and this scene really put the singer at the centre of things. Yet Jommelli was clearly concerned with drama as much as display, and the aria was a long way from such dizzy coloratura as we get in Hasse's operas. Summerfield really held her own and showed a fine combination of technical skill and dramatic nous. The title role, Vologeso, is not the most interesting of characters. Once past his first aria of defiance against the Romans, Vologeso's role is to steadfastly love Berenice, with the odd blast of jealousy. Vologeso and Berenice do get a duet, as the Act Two finale which starts as a large-scale ensemble, thins down to a terrific duet for just the two of them. Rachel Kelly made Vologeso a fully dramatic figure, bringing a rich mezzo-soprano to the role and imbuing the music with a vibrant intensity. Lucio Vero's betrothed, Lucilla, was too nice for her own good but Angela Simkin made her no pushover. Like Summerfield, Simkin brought great inner strength to the role and really made believable Lucilla's forgoing of revenge on Lucio Vero, The two supporting roles were very well taken, and you wished that Tom Verney as Ancieto and Jennifer France as Flavio had a bit more to do. With three arias cut, three arias shortened to their A section and around 10% of the secco recitative cut, the opera made a rather excitingly dramatic piece. The first act lasted 60 minutes, the second 50 and the third 30, which resulted in a taut whole which pleased musically but which would, I think, work well in the theatre too. We had an interesting overture from Ian Page and the orchestra, full of dynamic effects and certainly a piece to intrigue you and make you want to listen to what comes next. 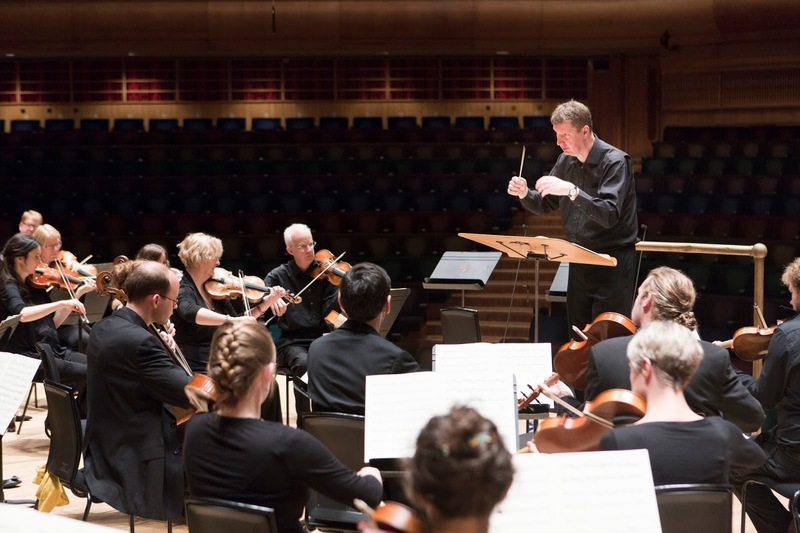 The orchestra contributed quite a lot to the arias and ensembles, and even go the last word as Jommelli gave the work an orchestral postlude after the final ensemble. Jommelli's Il Vologeso is not top rank opera, but it has enough interesting moments to make it well worth hearing. On this showing, Jommelli was clearly interested reforming opera seria and luckily his musical talents were such that the opera is well worth hearing for its own sake, not just for the reforms it prefigured in other more major composers. 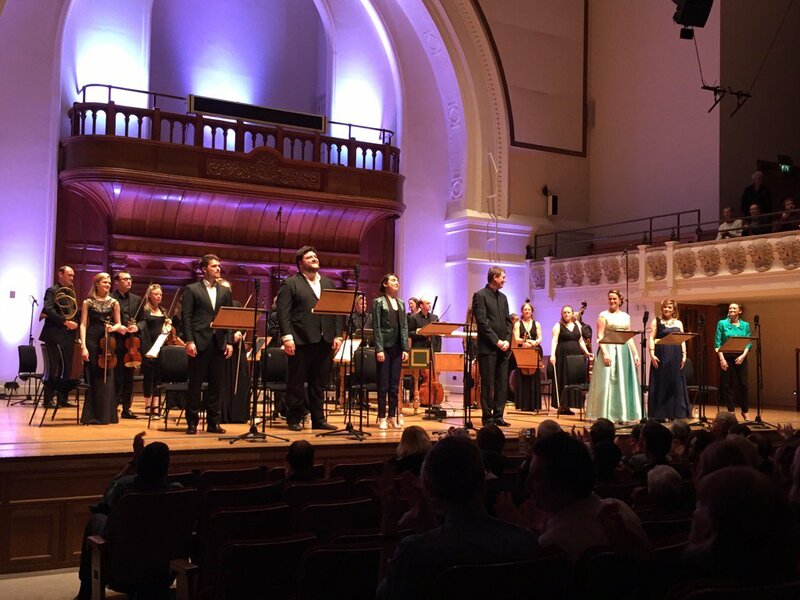 Ian Page drew strong performances from his young cast, all of whom were dramatically vivid and certainly not score-bound, and all were finely supported by the orchestra of Classical Opera. This was a great evening in the theatre, and I look forward to more discoveries as Ian Page's discoveries as the Mozart 250 festival progresses. Next year (2017) they will be presenting Mozart's first two stage works Apollo et Hyacinthus and Die Schuldigkeit des ersten Gebots which he wrote when he was eleven!